Angel Blogger Theme is a very stylish, elegant and powerful multipurpose Minimal Blogger Template with a minimalistic layout that focuses on simplicity and readability. suited for any creative websites and blogs. 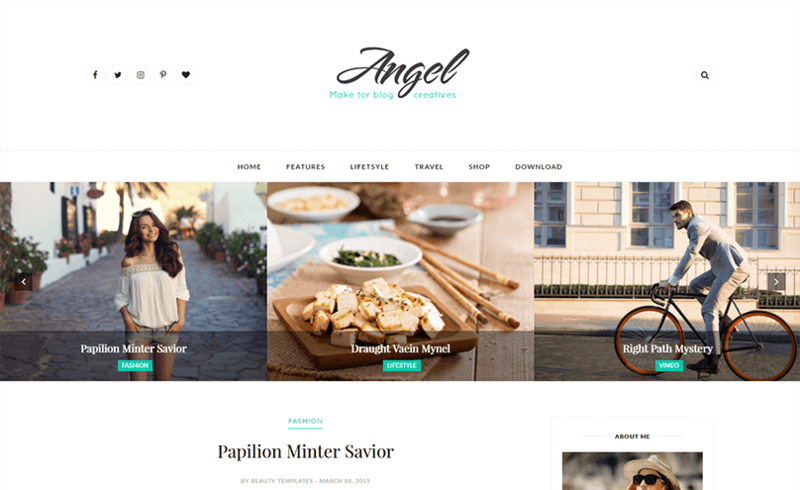 It specially designed for Personal Blog like Fashion Blog, Travel Blog, Fashion Magazine Blog, Travel Blog, Food Recipe Blog, Life Style Blog, Adventure Blog, Tech Blog, and any other awesome blog Website.